As reusable parcel shippers go, Skypod has made quite a name for itself. Being the first of its kind in the pharma logistics arena, it has hit the headlines in national newspapers and global trade magazines, perhaps as much on account of it being a life saver, as a groundbreaker. The clue to its primary function is in the name. Skypod is no ordinary reusable parcel shipper. 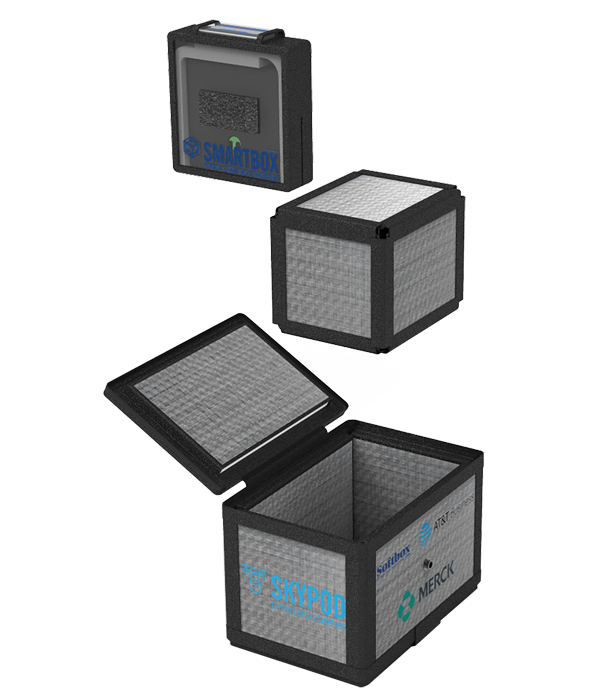 It is a special, thermally-insulated packaging system designed specifically to be carried by LTE/UAV-connected drones. Crucially, it was originally created with a clear purpose in mind: to ship vaccines and drugs to desperate people caught in natural disaster areas, where help has struggled to get through. Big news for the pharmaceutical and logistics industries. Welcome news for those in plight. A global pharma giant originally identified the need for a reusable parcel shipper of this nature, in the wake of devastating damage and life loss from Hurricane Maria in Puerto Rico. Here at Softbox, we went straight to work, leveraging material advances in the production of this new parcel shipper. Vacuum insulation panels (VIPs) and phase change materials (PCMs) were employed to protect the integrity of biopharmaceutical packages. Not only do they ensure reliable temperature control and offer long-term reusability and sustainability, but they are light and ideal for this kind of air transportation. 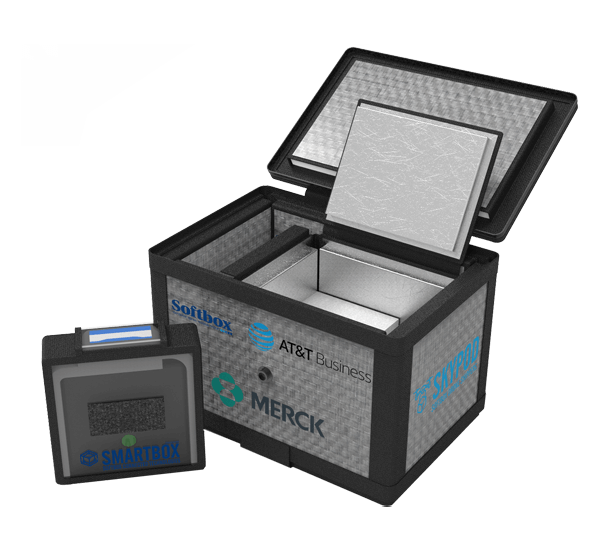 These attributes allow pharma companies to deliver medicines quickly to remote locations, but more critically, in their correct state for people to use; this high-performance, reusable PCM shipper has been designed to put patient safety first. With human life at stake, Skypod comes equipped with another advanced safety feature. It has been constructed to house a Smartbox powered by the Internet of Things (IoT) technology which tracks the package and collects data. This can then be transmitted and viewed on a web and mobile app dashboard. Information will include its location, near-real time external and internal box temperatures, as well as light exposure data that signals any tampering during daylight. The dashboard app will flash different alerts to prompt appropriate action. Every precaution has been taken to ensure this reusable PCM shipper is fit for purpose and effective in the field.